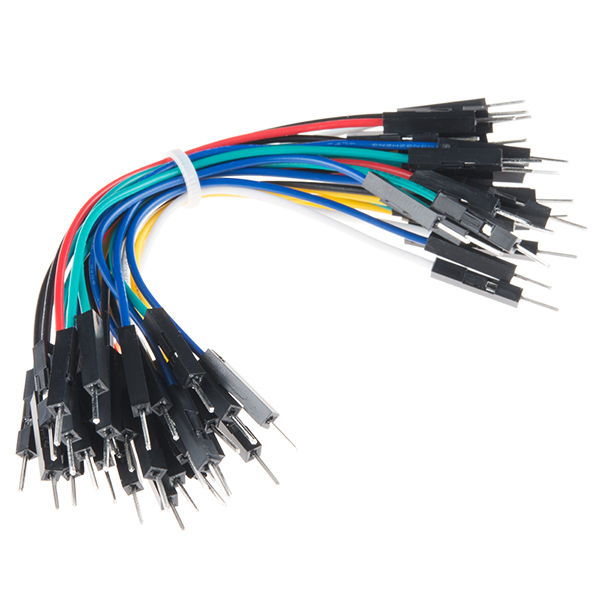 These are 101mm long 20AWG jumpers with male connectors on both ends. Use these to jumper from any female header on any board to any other female header. Combine these with our female-to-female jumpers to create a male-to-female jumper. Multiple jumpers can be installed next to one another on a 0.1" header. Hey, Sparkfun. Can you make these in just red and black? I've bought them from you and other vendors many times and the red and black ones always get used up first, so I have stacks of the other colors and can never find red or black. Thanks! I have the same problem. The red and black seem to go first.